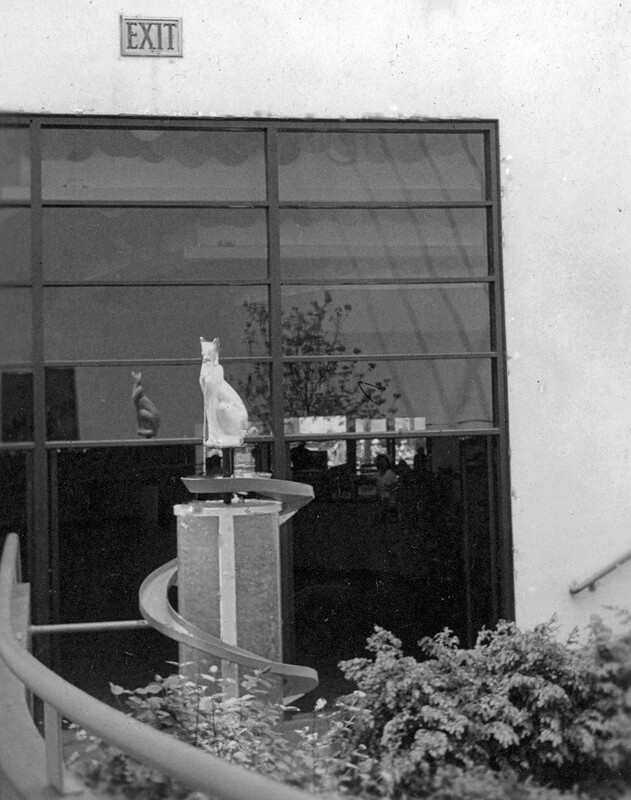 Does anyone have information on this fountain featuring a cat somewhere at the Fair? Peeking in through the window looks like it may have been a food stand of some kind. Any leads are appreciated! It looks like there were goldfish in the glass column. I've found other fountains like that, called Aqualons, but not with the cat. I feel sure I've seen this before, can't remember, but surprised it isn't on this site somewhere. Edit: Aha! You posted the same pics with the same question in 2008. Magikbilly guessed the Siamese portion of the International Area, but then changed his mind. I thought I had asked before, but figured it couldn't hurt to try again in case anyone had any fresh leads. Back in 2008 we hadn't heard of Aqualons yet as an example. Where did you find other aqualons? Do you have any links we might try as a starting point for further search? Stanley Appelbaum's book, The 1939-1940 New York World's Fair in 122 Photographs, has a photograph on page 16. (The book was published by Dover in 1977.) The photograph is of an Aqualon. He describes it as a fountain and one of several which were located on the grounds. It is cylindrical, contains water and goldfish and appears to be lighted by fluorescent tubes. 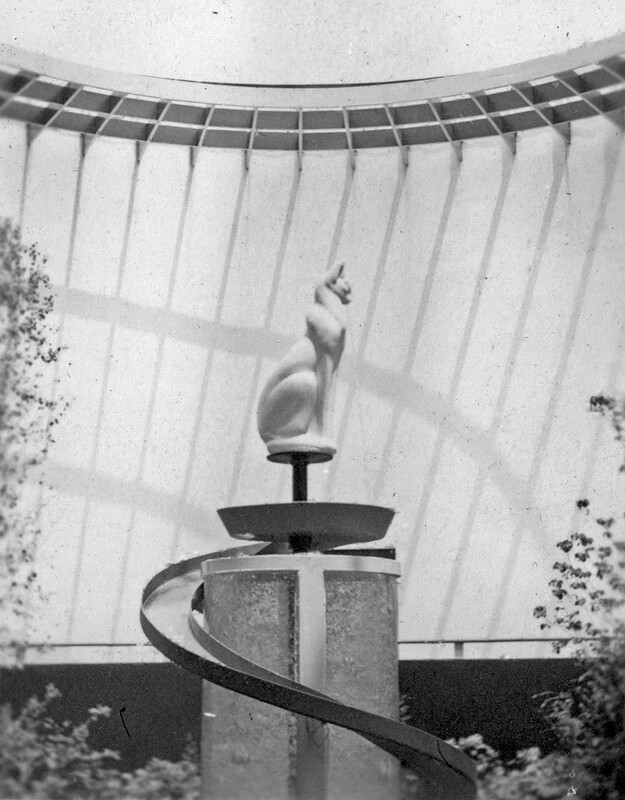 It does not have a statue of cat perched on top, however. Many of the photographs were taken by Richard Wurts. That same photograph can be found on Google images. Wish I could tell you. It was along a walkway with lots of greenery behind it blocking out any buildings. Grrrr! Thanks, Jim. I will have to pull my copy out and see if I spot any currently unknown images. Some aqualons were, IIRC, along the way down to the Court of Power and other like areas/avenues. I think some by Food or Gas and some by Communications and so on. I finally saw this in color and it is beautiful. Very thoughtful and inspiring.